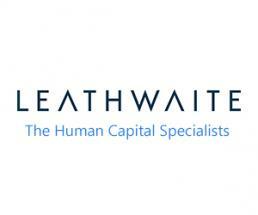 Leathwaite, the global human capital specialists, has secured investment from Beechbrook Capital to accelerate its geographic expansion, launch new business streams and invest in proprietary technology. The investment will also provide equity to further nurture the company’s current talent whilst simultaneously providing a platform to attract new talent to the organisation. Formed in 1999 by partners Andrew Wallace, Martin Phillips, Neil Ejje and James Rust, Leathwaite now employs a team of more than 100 professionals and is the firm of choice for many of the world’s most innovative and ambitious companies for executive search, executive interim, managed project delivery and data & insight solutions. With offices in London, New York, Hong Kong and Zurich and a world-class reputation in Support, Enablement & Control Functions, Leathwaite possesses a truly international business model, and has successfully delivered projects across Europe, the Americas, Asia, Africa, the Middle East and Oceania. Leathwaite was advised on the transaction by corporate finance advisory firm Livingstone Partners and legal firm Simons Muirhead & Burton. Leathwaite is a leading international firm of human capital specialists with offices in London, New York, Hong Kong and Zurich and was established with one clear purpose: to help organisations secure the best Human Capital within Support, Enablement & Control Functions. 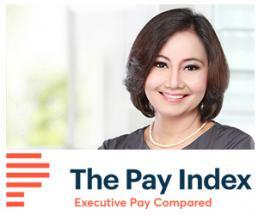 This is done via 4 solutions, 4 offices, 100 people and over 130 clients, globally. With a leading reputation for delivering exceptional executive search, executive interim, managed project delivery and data & insight solutions, Leathwaite is seen as a partner of choice for some of the world’s most innovative and ambitious companies. For press enquiries please contact +44 (0)207 151 5151 and for more information on Leathwaite, please visit www.leathwaite.com. 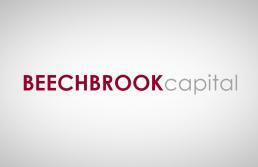 Beechbrook Capital invests in SMEs across a range of industries in the UK and across Europe. It is a specialist private debt fund manager, with circa £500 million raised since 2008 across four funds, and provides finance that fills the funding gap between equity and bank debt that is often faced by SMEs. The Beechbrook UK SME Credit fund raised £152 million and provides between £5 million and £15 million of financing to UK headquartered SMEs generating EBITDA of £1 million plus that do not have private equity backing. Most of the funding provided is structured as debt but minority equity investments are made where required. The fund finances all types of corporate events, including MBOs, shareholder realignment, equity release, growth capital and acquisition funding. It has a higher appetite for risk than traditional lenders and is less intrusive and expensive than private equity. Beechbrook’s three private debt funds support northern European private equity-backed companies with, typically, an enterprise value of €10 million to €100 million. Since 2010, the firm has completed more than 50 investments in European SME businesses. For more information, please visit www.beechbrookcapital.com.